The Guyana Project is featured on Core77! The story of our experience in Guyana is now being featured on Core 77. Since 1995 Core77.com has served a devoted global audience of industrial designers ranging from students through seasoned professionals. Core77 publishes articles, discussion forums, an extensive event calendar, hosts portfolios, job listings, a database of design firms, schools, vendors and services. Core77 provides a gathering point for designers and enthusiasts alike by producing design competitions, lecture series, parties, and exhibits. Welcome to the Guyana Project! 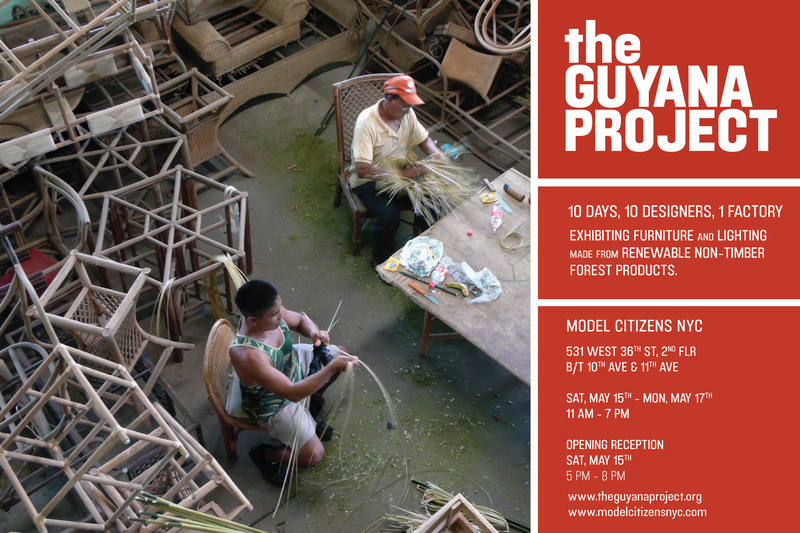 Welcome to The Guyana Project! We are a group of graduate students from the Industrial Design program of the Pratt Institute of Brooklyn who journeyed to Guyana, South America in the summer of 2009 to explore sustainable and ecological manufacturing potential at the Liana Cane Factory. Stay tuned to this blog for updates on press exposure and exhibition of our work.